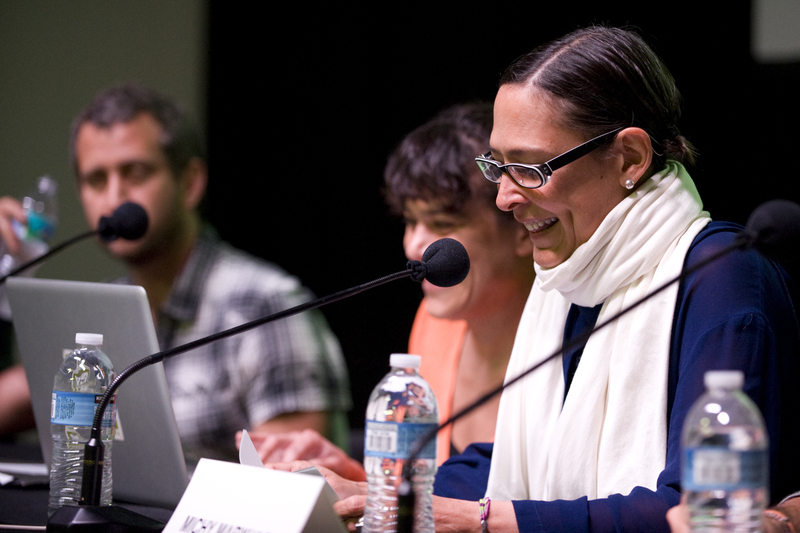 The Museum of Contemporary Art, North Miami hosted a three-day international symposium titled New Methods / Nuevos Métodos from May 4 – 6, 2011, examining the boom of independent artistic activity in Latin America. The symposium focused on artist-run organizations from throughout the region that have emerged from the need for independent education for working artists. Presenting organizations meet criteria that include: a focus on community building in their region; promotion of education of practicing artists through the organization of lectures and facilitation of discussions about contemporary art; investment in exchange by bringing international figures to their organizations through hosting guest artists and lectures or through artist residency programs; and non-profit status or the adherence to non-profit ideals. New Methods is presented by the Museum of Contemporary Art, North Miami and is organized by MOCA Associate Curator Ruba Katrib. Major support for New Methods was provided by the Andy Warhol Foundation for the Visual Arts. Support was also provided by Fundación/ Colección Jumex, Arts Collaboratory, Hivos, DOEN and Mondriaan Foundations, The Brickellian – Stella M. Holmes, Amy Dean and Alan Kluger, Monica Kalpakian, Hal Philipps, and Ray Ellen and Allan Yarkin. Media sponsorship for New Methods is provided by ArtNexus. Additional support was provided by the Betsy Hotel, Rosa and Carlos De la Cruz, Nina Johnson, Barbara Herzberg, Janice and Alan Lipton, Daniel Milewski and Lester’s Miami, Sandra Montenegro Contemporary Art, Beena and Naresh Nagpal, Eduardo Ojeda and Felipe Grimberg, and Francine Birbragher-Rozencwaig and Leslie Rozencwaig. Beverages provided by Zingum Mezcal. A publication featuring scholarly essays written by Ruba Katrib and others, symposium transcripts, and other materials will be available following the symposium.